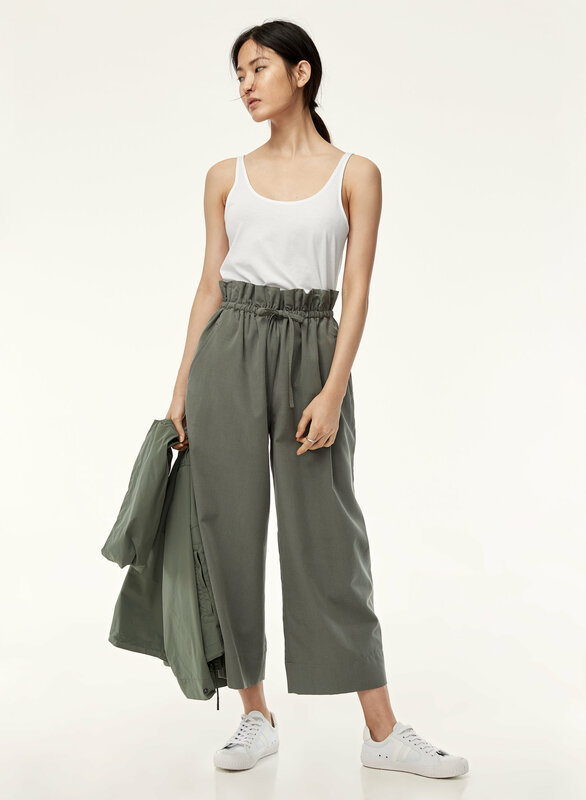 Styled with kerri pant . 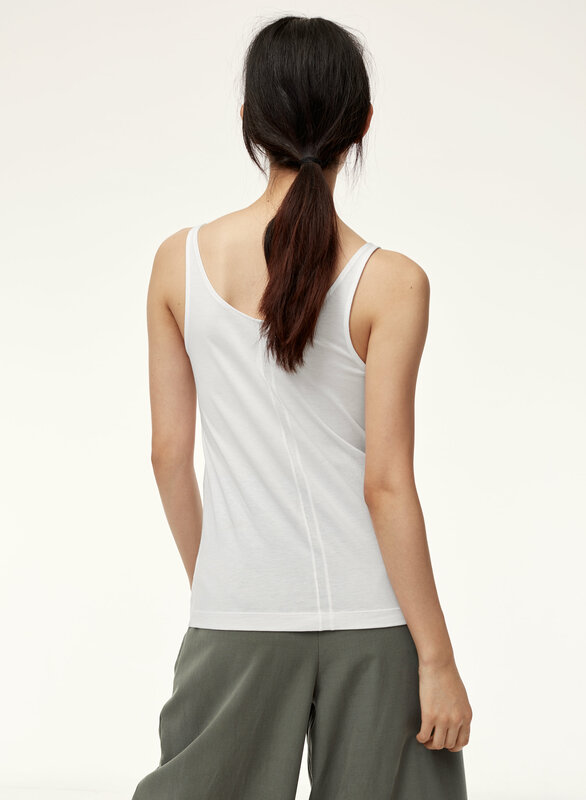 Perfect on its own or layered, this classic tank is cut from a blend of Supima cotton and Lenzing modal® (read: luxe, drapey and ultra-soft). I have the jem in both white and grey and could have a hundred more colours. 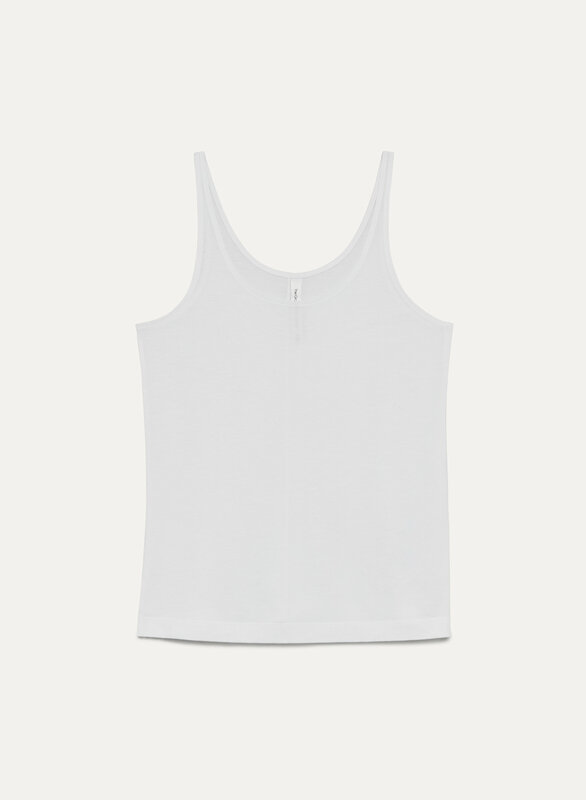 Wear these tanks weekly tucked in on their own paired with a cardigan or tucked in under a blouse or sweater. 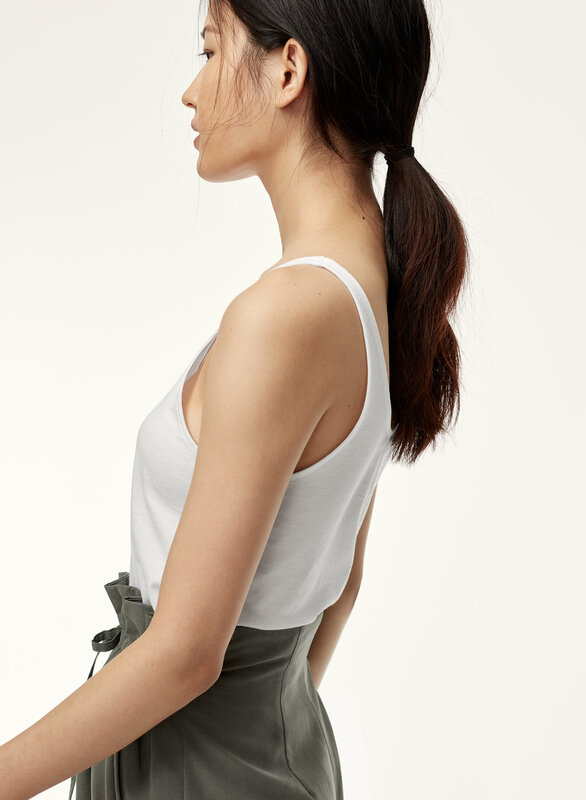 Excellent quality and a must-have wardrobe staple.